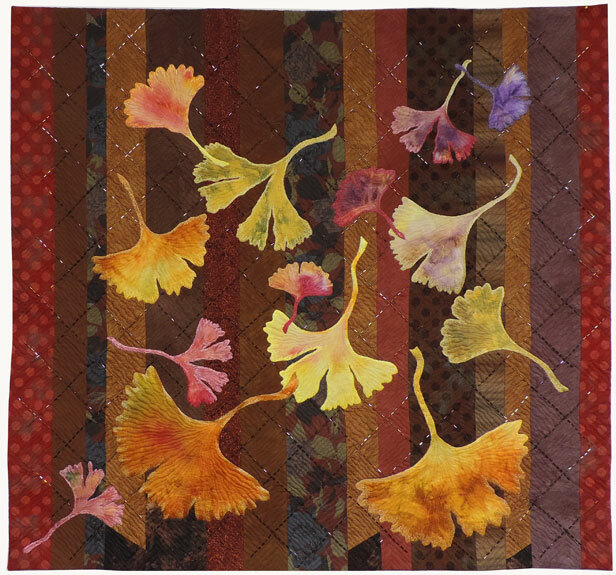 This quilt was started in the autumn of 2017. It was completely designed and appliqued within a month or two. I used a very wide Florentine edge technique to applique the leaves in place. 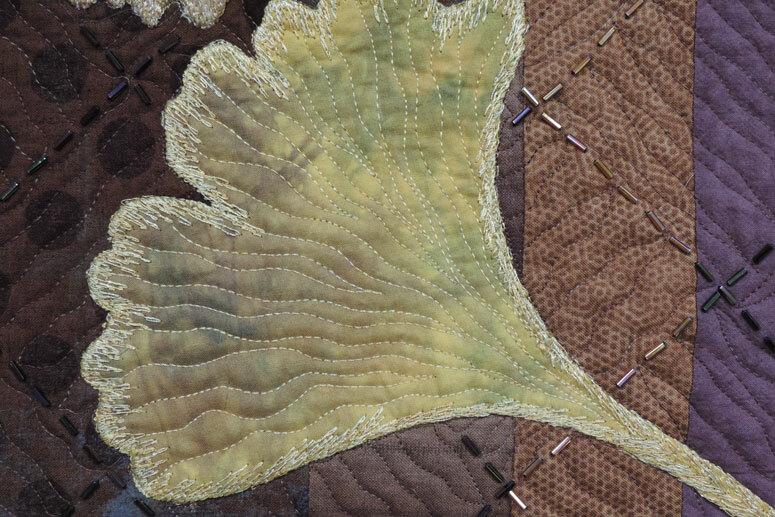 As always, I use variegated decorative thread for this stitching. Then I decided to add another surface element, bugle beads sewn on a diagonal 3 inch grid to fill the background! This makes the strip pieced background more interesting. The beading took a significant amount of time, I finally finished the following summer. 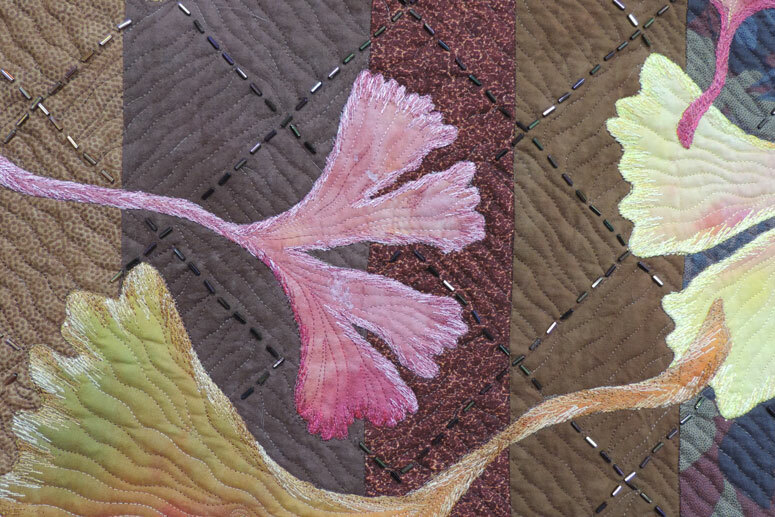 The quilting is rather simple, consisting of wavy lines changing direction in every other beaded square. 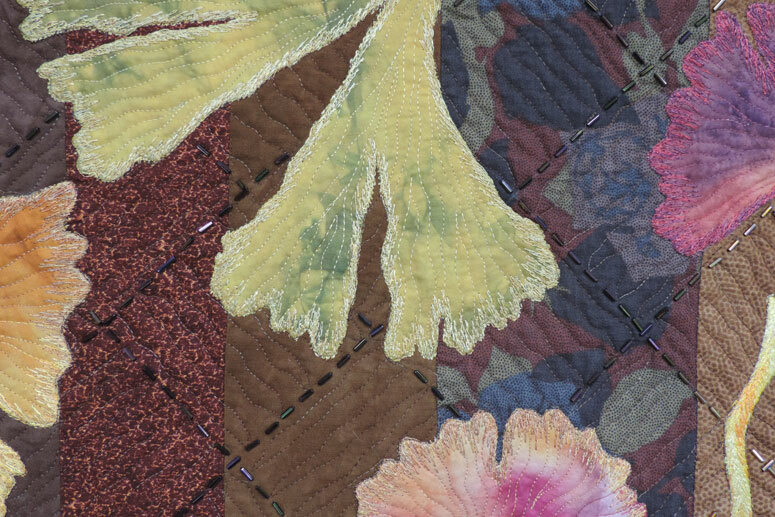 It was quite a challenge to try and get the quilting foot of the machine to stitch in between all the beads! 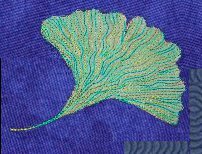 I love the way this simple fill pattern enhances the large gold, red and purple ginkgo leaves. Instead of binding I faced the edges. Sometimes I prefer this technique when I want the quilt to float on the wall, rather than have the contrasting narrow edge that binding provides. There is wool batting inside. The finished quilt was completed in time to enjoy for the fall season of 2018.